General Idea, “Going Thru the Motions,” 1975. Decades before YouTube, Twitter, and Vine, decades before the Internet inaugurated the phenomenon of fleeting, digitally-enabled popularity—back in the early 1970s—three underground artists declared themselves viral. A.A. Bronson, Jorge Zontal, and Felix Partz, of the Toronto-based collective General Idea, employed this charged concept to describe their modes of creation and dissemination in visual, performance, and conceptual artistic practice. Virus was a form of art, a means of making art, and above all, a description of the relationship between General Idea’s art and its audiences. Virus meant political subversion, cultural infiltration, and subtly radical satire. It also meant audience participation. In this talk, I trace the central role of live performance in the group’s pathbreaking viral vision. 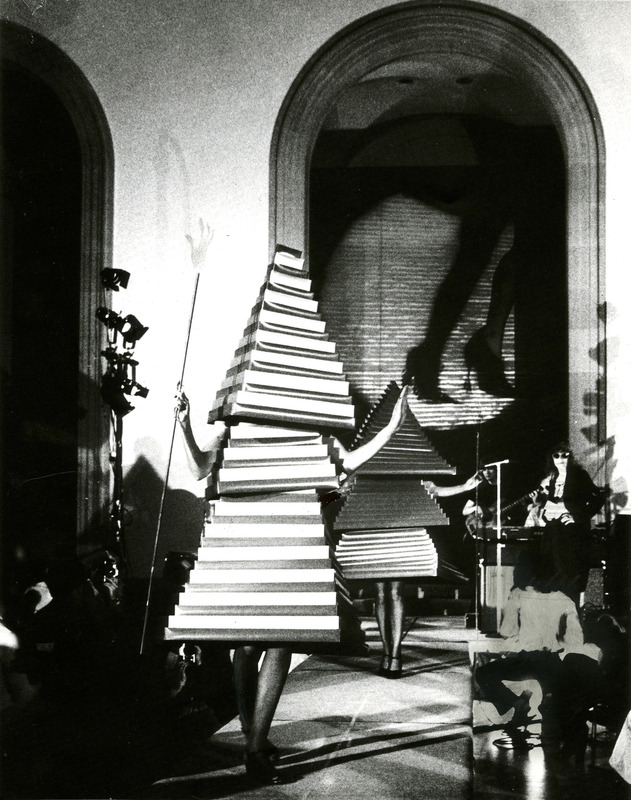 At the heart of General Idea’s work between 1969 and 1978 was a series of elaborate, playfully strange beauty pageants, in which contestants competed for the elusive title of Miss General Idea. 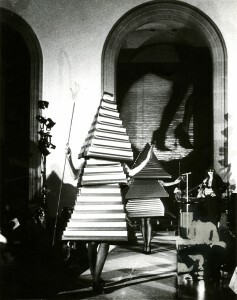 From the original pageant, which accompanied a media-saturated staging of Gertrude Stein’s play What Happened, through an escalating series of participatory performances, General Idea developed a mode of viral art that explicitly relied upon the live presence of performers and spectators. Art-historical scholarship has frequently sidelined these works in favor of the group’s visual art. I seek to restore General Idea to performance history, arguing that the live encounter shaped and propelled their viral vision—and that their viral vision marks a fundamental turning point in the history of radical participatory performance. Miriam Felton-Dansky is assistant professor of Theater & Performance at Bard College and acting director of Bard’s Experimental Humanities Initiative for 2015-16. Her essays and articles have appeared in Theatre Journal, Theater, PAJ, and TDR, and she is a regular contributor to the theater section of the Village Voice. A contributing editor of Theater, she is also a guest co-editor of two themed issues: Digital Dramaturgies (2012), and its sequel, Digital Feelings, forthcoming in 2016. She is currently working on a book about viral performance.